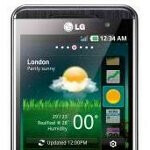 We all know that the LG Optimus 3D is beginning to be rolled out across Europe as we speak, but not every region will be actually selling the 3D inspired handset right away. For starters, the good people of the UK will need to wait around until next month in July before they’re able to experience all the 3D goodness coming along with the anticipated Android powered smartphone. 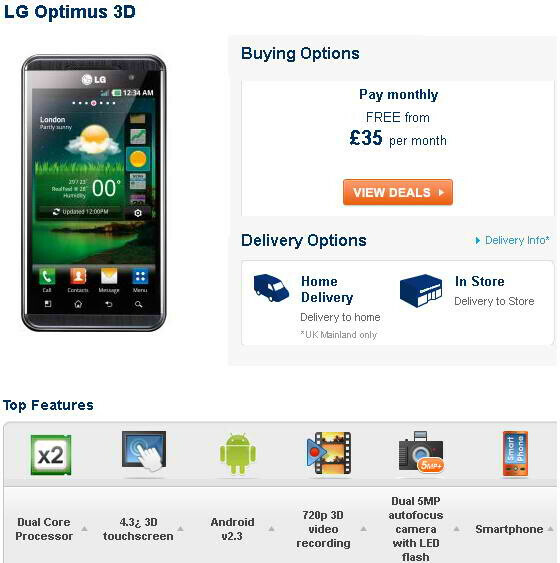 From the looks of it, Carphone Warehouse will be the exclusive retailer for the LG Optimus 3D in the UK – where pre-orders are now available for it. Thinking about picking this one up when it’s released? Well, you’ll be glad to know that it’s going to be available for free on plans starting at £35 per month. Indeed nice, potential owners will have huge smiles on their faces considering that it’s boasting a 3D capable display and dual-cameras for shooting 3D photos & videos. Launching out of the gate with Android 2.2 Froyo on board, it’s positioned to be upgraded to Android 2.3 Gingerbread later on in the year – but let’s just hope it’s sooner than later. If you want to experience the whole 3D craze right away, you’d better circle down July 7 if you happen to live in the UK. it seems like if it is a GSM device, we here in the States have to wait our turn. Oh well, at least we will get reviews on it before it is released, and will have a good idea if it is a great device or not, just like we did with the HTC Sensation and the Galaxy 2 line.